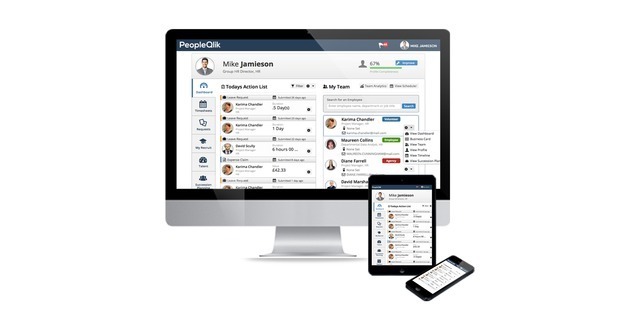 PeopleQlik is an enterprise cloud HR and Payroll Software trusted by 25000+ customers globally, which helps small to large companies manage their entire human resources within single software accessible from web and mobile. PeopleQlik manages a range of HR processes, through different modules such as: payroll, talent management, workforce management ,organizational development, performance management, and HR metrics & analytics .PeopleQlik is one of the most reliable software available, since it meets the evolving needs of businesses and is accessible through any gadget. PeopleQlik is compatible with other systems such as ERP and Payroll; it offers a range of services, as banking, finance etc. PeopleQlik provides a user friendly interface to its users and connects the organizations’ workgroups who are stretching across the globe. PeopleQlik HRMS software administers and connects the organizations’ workforce. Organizations can manage themselves through one software, where all the information is centralized and integrated to be accessed by all the relative departments. HR bots, one of the features of PeopleQlik, bring the communication among employees and organizations into a virtual reality, where all processes from queries to results of an Enterprise are 100% automatic. In this fast pace of world, where everything is connected, PeopleQlik software serves the users wherever it is accessed. It is available on all gadgets. PeopleQlik HR software provides wide range of business strategies, accompanying all the business activities of an organization. PeopleQlik software can enhance the performance and management of an organization through its range of features, such as it provides a range of appraisal forms. Through management features, it also guide the user to initiate and conduct appraisals. PeopleQlik software has a set of features which distinguish it from other software’s, it is the most reliable and least pricey software in the market. Organizations can evolve from grass-root level to the successful domains by employing the PeopleQlik HR software. PeopleQlik software can accomplish a wide spectrum of HR tasks of an organization. 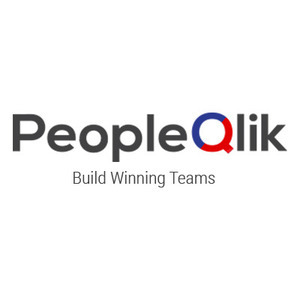 PeopleQlik is an enterprise cloud HR and payroll software, trusted by 25000+ customers globally which helps small to large companies manage their entire human resources within single software accessible from web and mobile. PeopleQlik manages a range of HR processes, through different modules such as: payroll management, talent management, HR metrics & analytics. PeopleQlik is one of the most reliable software, which meets the evolving needs of businesses & is accessible through any gadget. PeopleQlik introducing enterprise HR & Payroll software solutions in all over the world on web and on cloud with latest features like: HR Analytics, HR Metrics, HR Bots and much more.